This important section of the PJLA MUSIC SALES web site is offered to our readers so as to honestly and ethically represent public, private, professional, web links and magazine reviews & observations of our product lines and endorsing artists. We provide equal opportunity for players, educators and reviewers as our goal to present you with the most fair and unbiased opinions of our product brands by qualified critics. This informative segment will be updated as often as needed in order to provide all our readers with the most current materials available. "I am often amazed at the many talented women around me. Just when you think you know someone, which I must admit, is often based on physical appearance and attitude, do you realize that what you see is only a minute part of who they really are. Dr. Leilani Vidal is a prime example of this. By day she is a Doctor of Chiropractic and the founder of the Better Health and Wellness Center. At night she trades her white coat for an edgy outfit and a sleek saxophone and becomes a member of the beautiful all-female Saxophone quartet known as the Saxations." 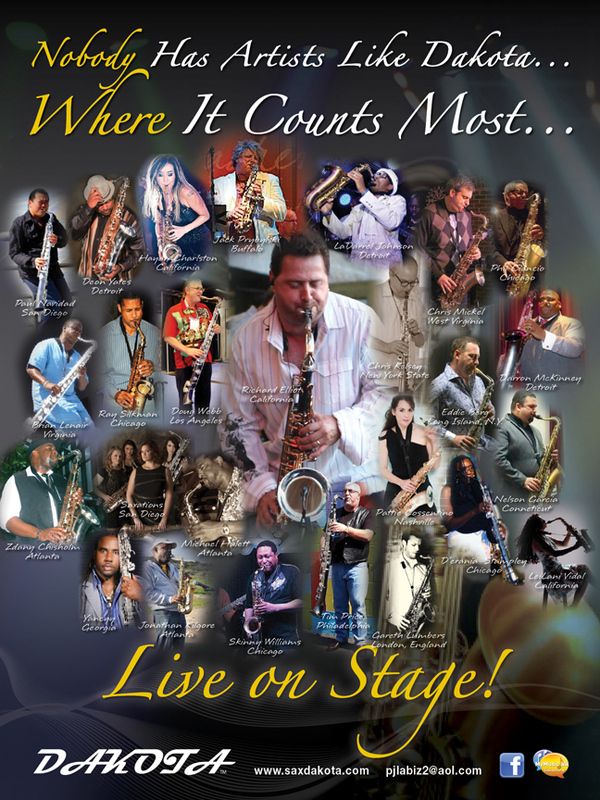 See/Hear Richard Elliot Perform on His XG Tenor Sax at NAMM/Anaheim and Find Out More About Sax Dakota From Pete LaPlaca, Designer/Owner. Please go to the PHAETON pages for reviews and evaluations of all model PHAETON TRUMPETS. Please go to wind instruments and then click on PJLA MUSIC/PETER LAPLACA for more product news. You are required to register to get into this excellent site, but once there you can chat about trumpets and look around for comments about PHAETON & OLDS trumpets. This is a great site for vintage and current info about the FE OLDS & SON trumpet/brass models produced since early 1900. This is the most complete compendium of OLDS information available on the web today. This is a great site to exchange ideas about saxophones and their attributes. Look for discussions about SAX DAKOTA-USA when you're on line. This is the newest and most effective gathering place for classified ads, chat rooms, product comments and overall technical information about trumpets available to all levels of players. 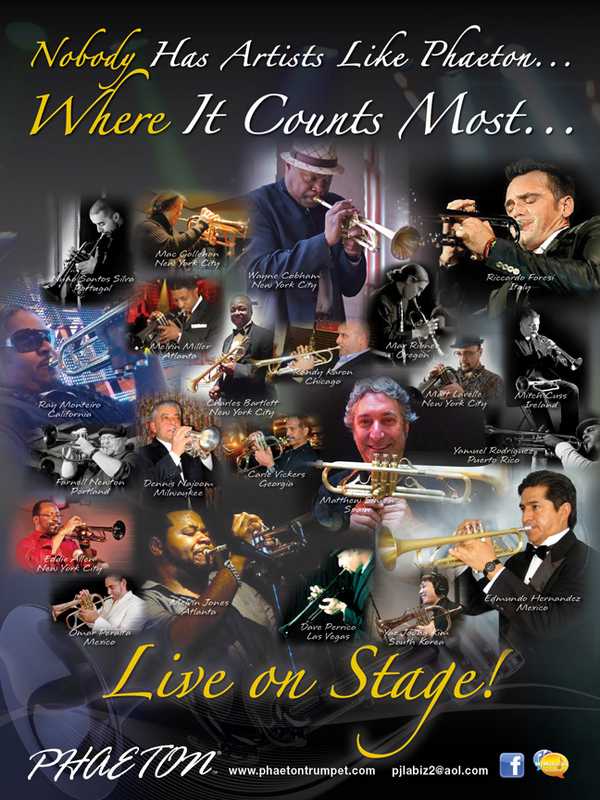 Don't miss out on registering your name/e mail on this site for factoids and professional opinions from hundreds of trumpet players from throughout the world. This new site is every band director's best source of product info, school news, school services, publications plus an opportunity to chat and solve professional and performance problems without the hassles of phone calls and faxes. Go to this site for all the most important brands available today for school music programs. Jazzbeat, sponsored by Randy Hunter Jazz, is a site open to self-publishers of jazz books, jazz education material, jazz lessons, CD's & DVD's, and creators of original jazz gifts and products, as a venue for exhibiting their merchandise and links to their personal websites...for free. To support jazz education and jazz educators, and to encourage appreciation for jazz, through partnerships that bring jazz into our schools and communities. 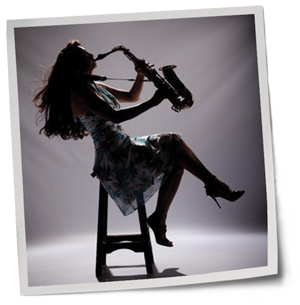 This new social site offers tips, links, education, idea exchanges and much/much more for saxophone players of all ages and skills. We urge you to visit this site and register.